Discussion in 'News' started by Joe, Jun 2, 2018. 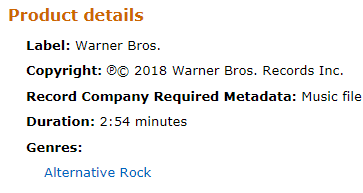 The track time for 'Ghosts' has been listed on Amazon as 2:54 hinting that it will be the next song released from Mike Shinoda's new album Post Traumatic going by previous listings. As the song credits suggest it will feature piano in some form. Mike has been teasing a new video on social media that will feature sock puppets and it looks like this could be it. Kevin and Ree like this. Intriguing but the album is 13 days away. I'll probably hold off on this one. I'm curious to see how this will all turn out! Definitely interested in this one, I like the simple title and I love when Mike plays piano. Might force myself to avoid listening to it until the 15th though! I won't listen until June 15th since I think I've heard too many songs already, but I remain very hopeful for this album. Sadly I'm only looking forward to 3 albums this month, all those I consider great got barely any attention, even CHVRCHES (expected a top 3 or top 5 UK debut at least).